The esthetician’s role in the cosmetic industry is expanding. Traditional esthetics has branched out into the cosmetic laser industry. Laser hair removal certification classes are being offered because of the high demand for this as well as other cosmetic laser certifications. The many cosmetic laser procedures being performed in spas and laser centers across the country have created a need for trained estheticians. 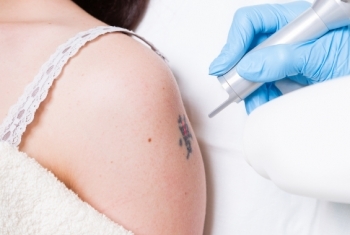 Estheticians are seeking laser tattoo removal certification classes as well as laser hair removal certification. Social media such as Facebook, Twitter and even Pinterest are exploding with laser cosmetic procedure chatter. The savvy clients are demanding the latest technology in the anti-aging realm that goes beyond the scope of the traditional facials, microderm abrasion and peels which are all part of traditional esthetic training. IPL, Yag and Alexandrite lasers for hair removal and pigment removal, Q switched laser technology for tattoo removal are being requested and sought after by the educated client. Advanced laser certification training for estheticians opens a broad spectrum of employment opportunities to the presently licensed esthetician. Advanced medical aesthetic centers will seek qualified estheticians with the Master Esthetician License to accommodate the influx of demanding clients. Often the esthetician would receive training from either a sales representative from a laser company, or another esthetician in the laser center. This method of laser training may teach the esthetician basic laser operation, however it does not guarantee didactics in patient selection, dermatopathology, or pre and post laser care. A void in these essential components of laser education as well as other evolving advanced esthetic procedures leave much to be desired ultimately effecting patient care and results. Without an established advanced laser training curriculum, inconsistencies in the didactic and laser operations are more likely to occur. In response to the need for further education, Washington Laser Institute has developed a curriculum based on the new Washington Esthetic Law which has been approved by DOL. Endorsed by several esthetic schools in the state, our laser training curriculum upon successful completion qualifies the esthetician to take the NIC administered Written and Practical Master Esthetician Examination. Upon obtaining a passing grade on both written and practical on the Master Esthetican Examination the esthetician can be issued a Master Esthetician License by the Washingon State DOL. Recently Oregon passed a law which will require a Certified Advanced Esthetician License beginning July 2016. Washington Laser Institute trains Oregon estheticians for this new license. Call for details 855-755-1064. 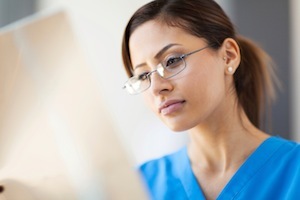 The training received at Washington Laser Institute is the gold standard in education. The classes are taught by physicians and at no time will you be unsupervised by an "invisible medical director". You will recieve didactics and hands on with over 30 laser and medical energy modalities which includes laser hair removal, pigment removal, laser spider vein treatment, laser skin rejeuvenation, radiofrequency, radiofrequency microneedling, toenail foot fungus laser treatment, Ultherapy, body recontouring, and laser tattoo removal. Non laser modalities include micro needling, microcurrent, microdermabrasion, Silk Peel Derminfusion, Intraceuticals Oxygen Facial, Vampire facelift with PRP and chemical peels. No school can come close to this training. The Master Esthetician Grandfathering is no longer an option . A a sign off by a physican. nurse, chiropractor or naturopath is unacceptable. Beware of people offering to sign you off for a fee. Your best option to become a master esthetician is enter into a 750 hour basic program and transition to the 450 hour program at Washington Laser Institute. This platform will give you the most hands on with over 30 different lasers and medical energy devices in the region and prepare you for job placement in a medical spa. Choosing an esthetic school can be confusing. If you want to become a master esthetician and you have not enrolled in an esthetic school, you will see there is a choice to attend a program that offers the full 1200 hours broadly combining basic and advanced topics with no requirement for hands on with lasers. Your other option is choosing a proven basic esthetic school that partners with Washington Laser Institute and concentrates on the core material for 750 hour curriculum which is their expertise. Upon graduation, you will be placed in the full comprehensive 450 hours of advanced training at Washington Laser Institute. This platform has tremendous advantages if you plan on working in a medical spa where the doctor will expect you to be proficient on all laser and light energy medical devices. There is no requirement in Washington State for any school to provide you with as many hands on hours with such a variety of lasers and other medical energy devices as Washington Laser Institute. Unfortunatley it is possible to pay for a 1200 hour program and recieve minimum or no laser exposure at all and still recieve a license. At Washingon Laser Institute, you are taught by physicians with active MD licenses that work in the field of cosmetic lasers. Esthetic schools for years only taught the basic program. They have perfected the curriculum and know what it takes to help you sucessfully become licensed and employed. These are the programs we partner with. Our partners hold the same gold standard training as we do at Washington Laser Institute. 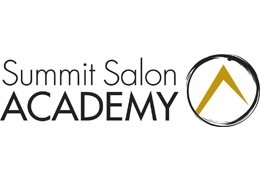 Schools such as The Euro Institute in Renton, WA, Gary Manuel Aveda in Seattle and Summit Salon Academy in Tacoma, are all partnered with Washington Laser Institute. Partnership means the best of both worlds. Excel in basic esthetic school and transition into Washington Laser Institute for comprehensive advanced training. We set aside scholarships for our partnered schools.The advanced training at Washingotn Laser Institute is designed to take you to the next level by giving you outstanding theory and hands on advanced medical esthetics for 450 hours. If you choose a 1200 hour program, these schools were previously a basic program and have attempted to expand. You may be exposed to some laser and light theory in that 1200 hour but there is no requirement for them to have 450 hours of pure medspa hands on with real physicians. In an effort to market "laser hands on" they may arrange an externship at a medspa that may have one or two devices and possibly no MD supervision. This externship may only be one day of shadowing. It is very important to ask questions in your decision process. Feel free to call our friendly staff to arrange a tour and we will help you decide. We partner with basic esthetic schools. Call for details. Esthetic schools that offer the full 1200 hour master esthetician curriculum may need to send the esthetic student to an off site externship for up to 120 hours in order to provide the student with laser experience. If you are enrolled in a 1200 hour program, simply inform your school you would like to attend Washington Laser Institute for your externship. We are a licensed Salon Shop through the DOL and qualify as an official externship site as well. You deserve to be exposed to all basic laser senarios with real patients under the guidence of a physician on site at all times. Washington Laser Institute is the gold standard for advanced esthetic education. Call today for a tour or simply place your non refundable deposit to hold your place in the class of your choice. This new esthetic law has redefined and expanded the role of the esthetician. Every esthetician seeking the Master Esthetican Training deserves a robust curiculum of hands on with multiple lasers and a solid foundation of medical and dermatological topics pertinent to the skin care expert. At Washington Laser Institute, every master esthetician will take away an education that will enhance their job opportunities and provide a fund of knowledge that will be second to none. Who Can Attend Washington Laser Institute? Any practicing or non practicing esthetician that has an active basic esthetic license can register for the 450 hour comprehensive Master Esthetician training program at Washington Laser Institute. If you are enrolled in a 1200 hour program, we can arrange your expternship. If you are thinking about a career as a Master Esthetician and have not enrolled in a program yet, call to see our Washington Laser Institute partners. Call 855-755-1064 and reserve your place in class. Since January 2015, all practicing estheticians operating cosmetic lasers under Washington State guidelines must hold an active Master Esthetician License. If you are a licensed esthetician in the state of Washington, placing a $500 non refundable deposit now reserves a seat in either the externship tract (only if registered in an official full 1200 hour program), the 450 hour comprehensive program, or the Oregon Certified Advanced Esthetician Training. If you plan to operate lasers and hold a valid Washington State Esthetician license Washington Laser Institute offers the most comprehensive advanced laser training in the Northwest. 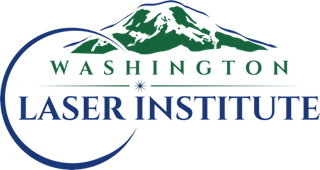 Washington Laser Institute has a small student /teacher ratio, maximum hands on and over 30 different state of the art lasers and medical light energy devices taught by physicians and licensed master esthetic instructors. Register today! Call 855-755-1064. Other states have certain requirements for the licensed esthetician wishing to operate cosmetic lasers in place and some do not. If you are not from Washington State and your state has additional advanced laser training requirements and you wish to attend Washington Laser Institute we have courses that meet your state's requirements. Please call 855-755-1064 or request information online through our request form. NOW REGISTERING OUR BASIC ESTHETIC SCHOOL PARTNERS Call for scholarship details. 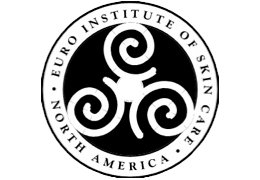 Master Esthetician Externship Tract (For students in 1200 programs. We are an official externship site.